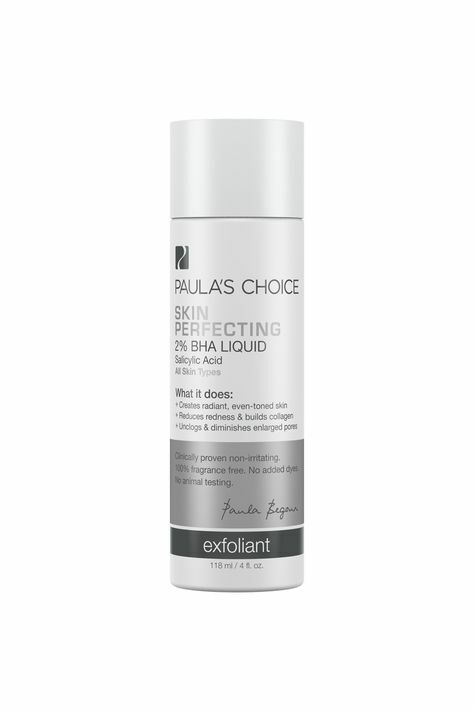 The Paula's Choice 2% BHA Liquid (referral link for $10 discount on first order) is quite possibly my single favorite over the counter product in my rather extensive skincare routine. I consider it a miracle product, but my main goal is treating acne, so the BHA Liquid probably isn't for everyone. My skin type is dry, very acne-prone, and moderately sensitive. This product was the first in years to substantially reduce my acne, even when compared to prescription products. It likely has anti-aging benefits as well, but I can't report on that myself. When it comes to acne treatment, I generally recommend relying on the dermatologist and whatever they prescribe as a first line of defense. Especially when one is having severe problems, I've never found over the counter solutions that helpful. During graduate school, my skin had calmed down to the point where doctors were not willing to prescribe anything stronger. My skin was stable, but I wasn't satisfied. For better or for worse, I almost never get small breakouts or blemishes. Instead, I used to develop one of those terrible, large, and under-the-skin bumps (cystic acne) once every four weeks or so like clockwork, just as the last one healed. I am also prone to post-inflammatory hyper-pigmentation, which meant that I constantly had hyper-pigmented spots to conceal with makeup. Kerry's review at Skin and Tonics is more complete and informative regarding the science behind the product. Her reported experience, including a before and after photo, is very consistent with mine. After I incorporated this product into my daily routine, the frequency of my breakouts was reduced dramatically by the first two months or so. So far this calendar year, I've only had two of those horrible, under-the-skin type bumps, and they heal quite a bit faster than they used to. Both facts count as big wins in my book. With any new product, I recommend patch testing, perhaps on the inside of your wrist or on your neck. I also recommend easing the product into your routine slowly. There is always a small possibility of a product causing breakouts or severe irritation. How I Use It: I apply this product daily. It is the first thing I use after washing and drying my face every morning. I apply around 3-4 drops on my face and wait about 15 minutes before moving on to the next steps. Pros: It significantly reduced acne that persisted despite extensive use of prescription products. I think the BHA Liquid only works this well as part of a combination with my other products, though. I don't think it alone would be enough to have results. It is also a good value. A $26 bottle lasts me around five months. It makes the pores around my nose appear a bit smaller. Cons: The BHA Liquid is a bit drying. Part of the reason why I use so many moisturizing products is to soothe my skin because of this product and Retin-A-Micro. Even though my skin is used to both products and is not very sensitive, my skin sometimes gets irritated and needs a few days break from the harsher acne-treatment-inclined products. This product is less harsh than the Retin-A, which is likely the main culprit when my skin gets irritated. This post is not sponsored, though if you are a new customer of Paula's Choice and sign up and order products using my referral link, you and I will both get a $10 discount credit.